Designed by ELIAS SEGUÌ and produced by Italian KLEIS Design. 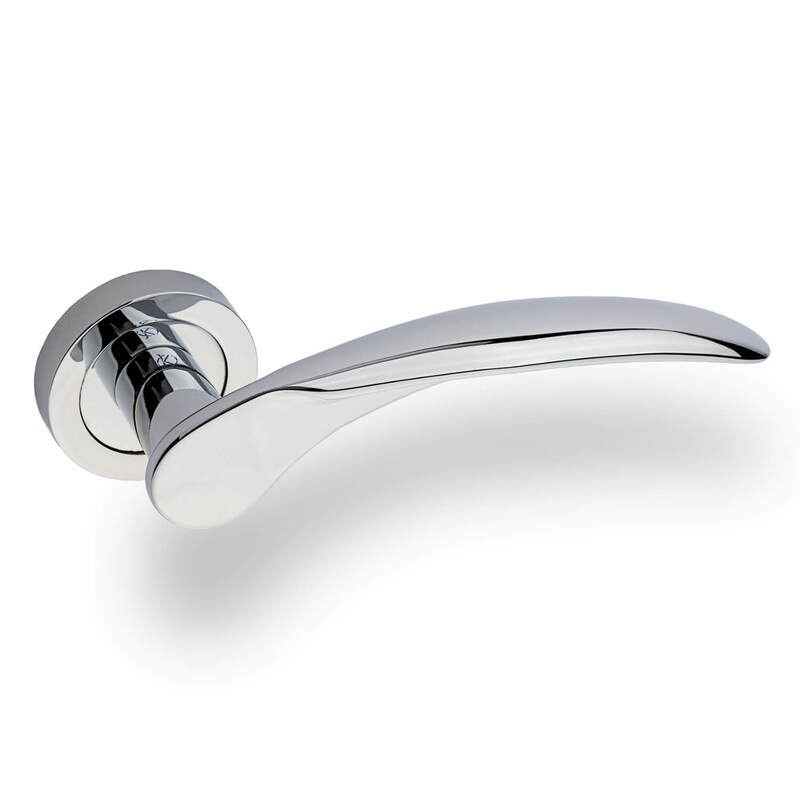 The door handle is molded in solid brass and has a glossy chrome finish. Both rosettes and escutcheons are with hidden screws.